WXXI's Karen DeWitt reports that the state Board of Elections has voted to clip some of its chief enforcement officer's investigative powers. Tempers flared Wednesday at the New York State Board of Elections, where commissioners voted to limit the subpoena powers of the investigator in charge of enforcing campaign finance violations. 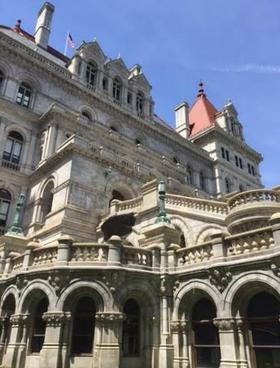 One of Cuomo’s opponents in the governor’s race, former Syracuse Mayor Stephanie Miner, weighed in on the vote, saying she can’t “think of a worse time to weaken the powers of the enforcement counsel."